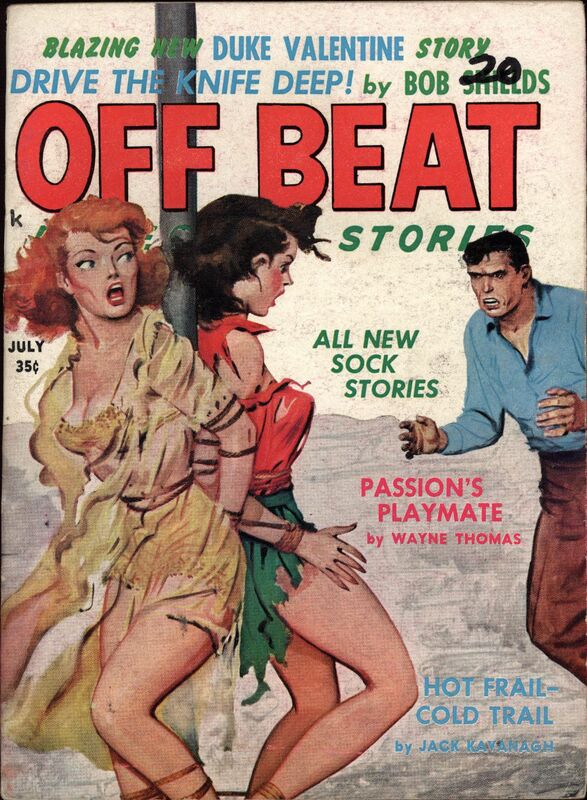 These titles don’t always make the most sense, but this one makes less sense than usual. Posted on November 23, 2017 Categories CoversTags Babes, Helpless Women, Hostage, Magazine, Off Beat Detective1 Comment on You’re My Knife! Baby Needs A New Lover! Also, She’ll Shriek For Death! Posted on November 23, 2017 Categories CoversTags Babes, Dangerous Women, M.E. 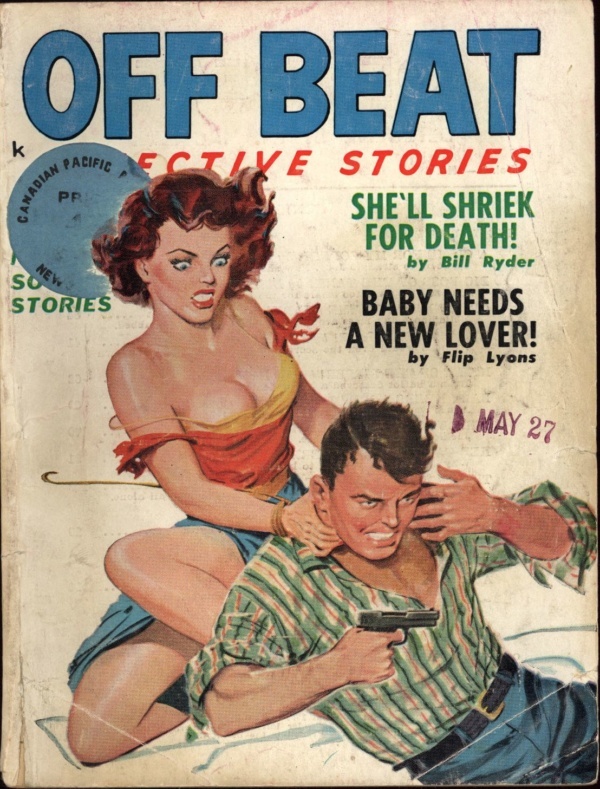 Sherwood, Magazine, Off Beat Detective1 Comment on Baby Needs A New Lover! Hot Dame With A Cooler! 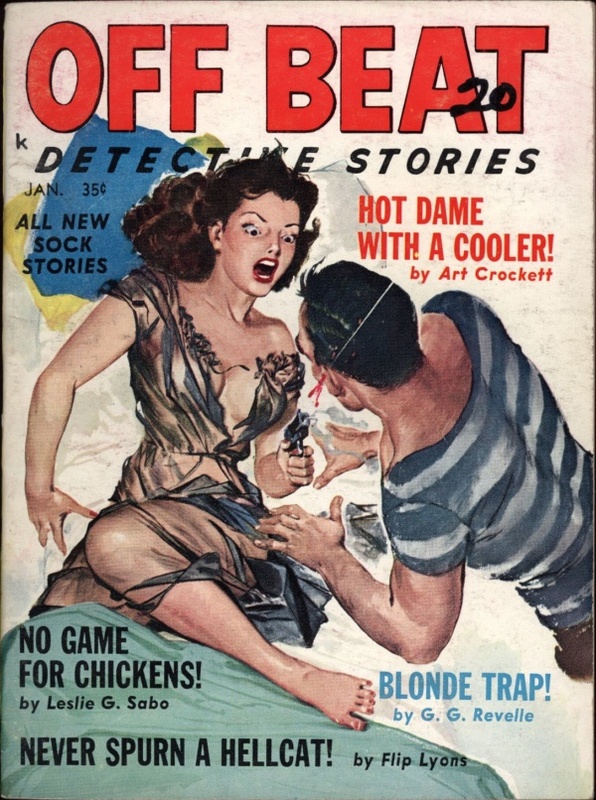 No Game For Chickens, Blonde Trap, and Never Spurn A Hellcat! Posted on November 23, 2017 Categories CoversTags Babes, Carl Pfeufer, Dangerous Women, Magazine, Off Beat DetectiveLeave a comment on Hot Dame With A Cooler! 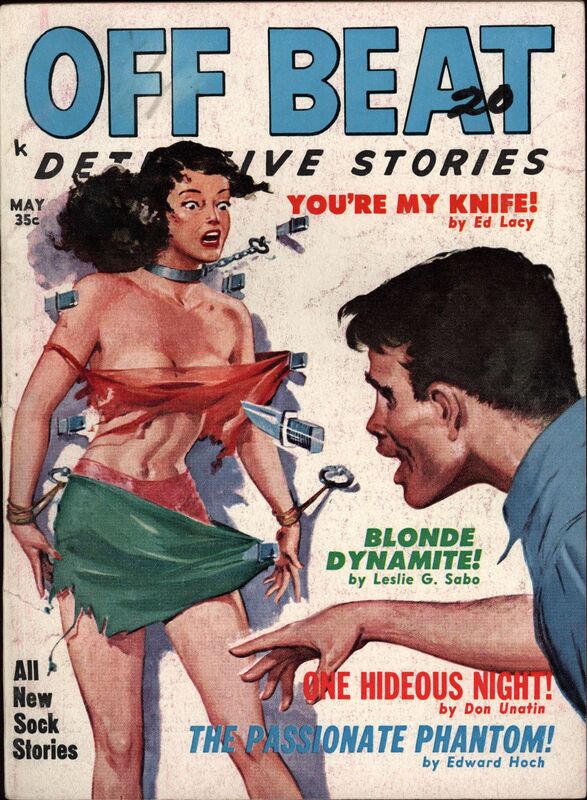 Also, Deadly Dream Doll! and Judge Me In Hell! 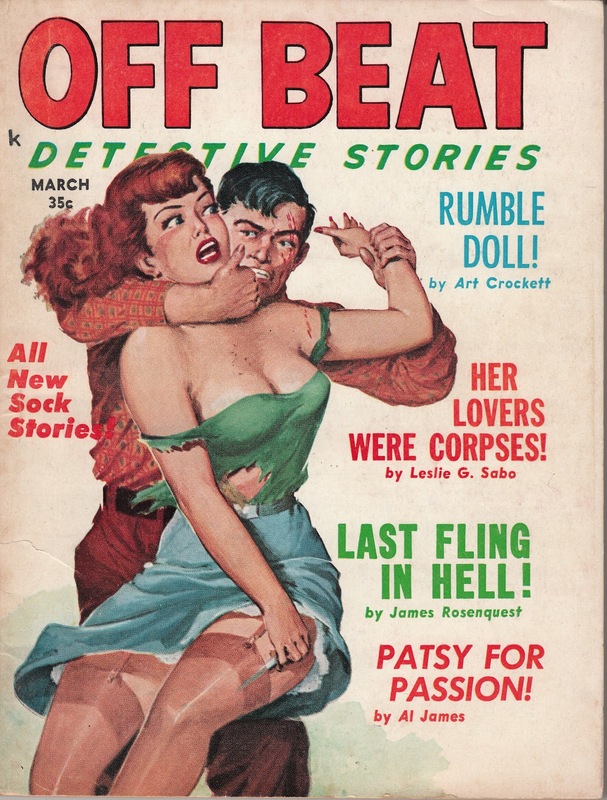 Posted on November 23, 2017 June 16, 2018 Categories CoversTags Babes, Carl Pfeufer, Helpless Women, Hostage, Magazine, Off Beat DetectiveLeave a comment on Bribe Me With Lust! Posted on November 23, 2017 Categories CoversTags Babes, Carl Pfeufer, Helpless Women, Hostage, Magazine, Off Beat DetectiveLeave a comment on Frame Me In Satin! 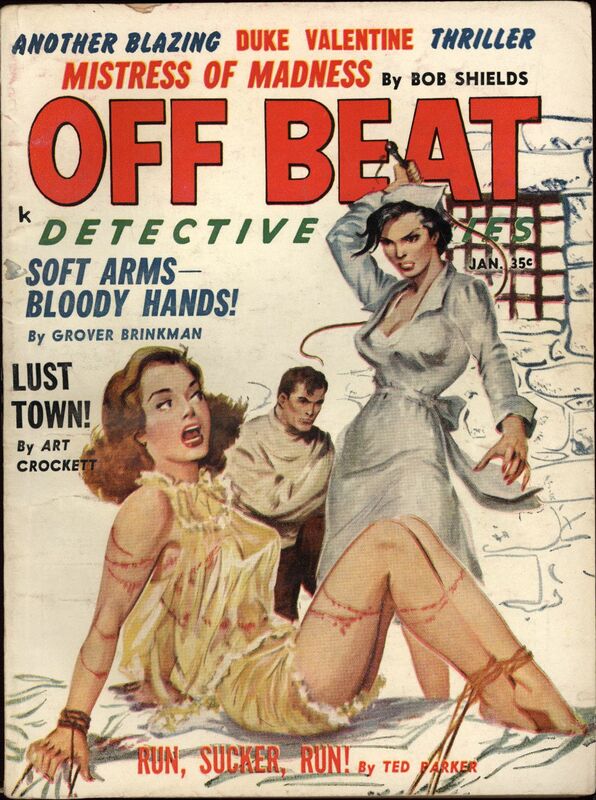 Also, Soft Arms — Bloody Hands!, Lust Town! and Run, Sucker, Run! Posted on March 28, 2016 Categories CoversTags Babes, M.E. 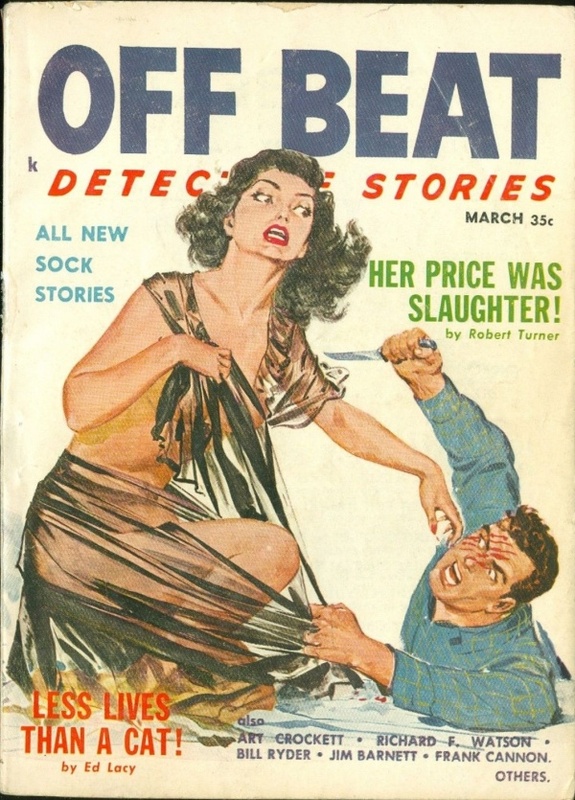 Sherwood, Magazine, Off Beat DetectiveLeave a comment on Her Price Was Slaughter! You’ve Got To Hate Big! 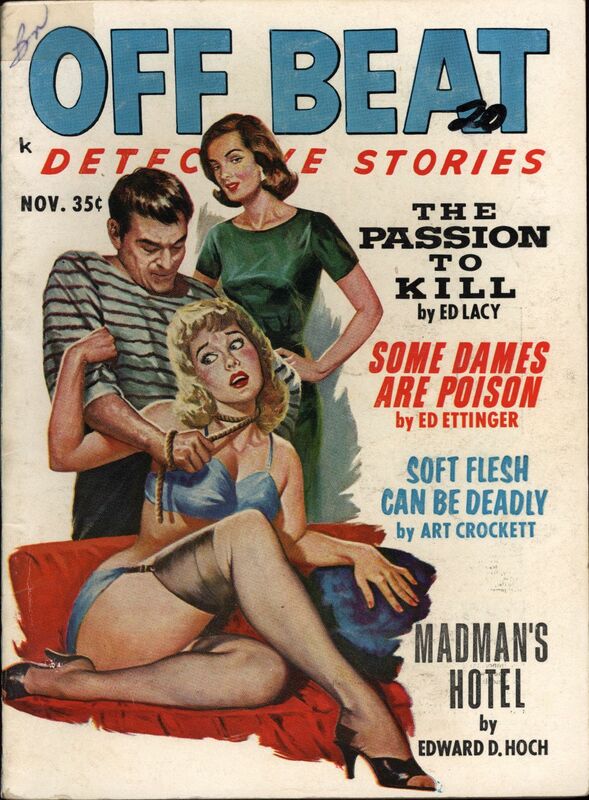 Also featuring So Lethal, My Love, Lovely Lady Of Lust!, and Double Dealing Doll! 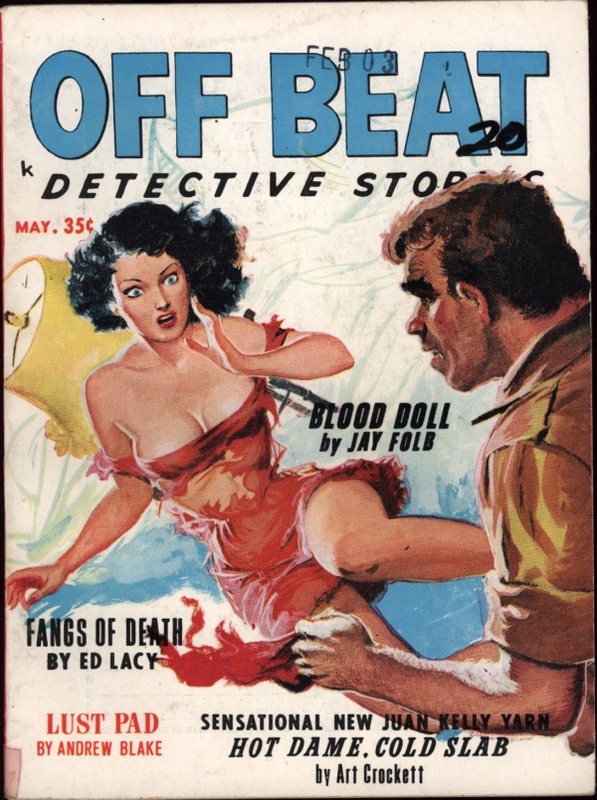 Posted on August 3, 2012 February 24, 2013 Categories CoversTags Babes, Carl Pfeufer, Helpless Women, Hostage, Magazine, Off Beat Detective, SweatsLeave a comment on You’ve Got To Hate Big! Posted on August 3, 2012 February 24, 2013 Categories CoversTags Babes, Carl Pfeufer, Crime, Helpless Women, Off Beat Detective, SweatsLeave a comment on Patsy For Passion!